Our Emergency Disaster Services Director, Terry Lightheart and Disaster Liason, Bill Feist recognized as Certified Emergency Managers. 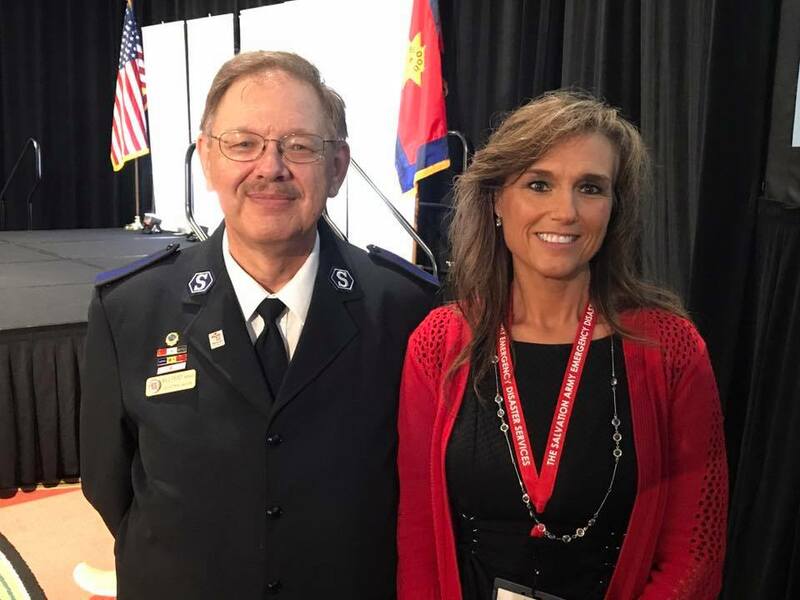 Two of just a handful in The Southern Territory of The Salvation Army. Terry and Bill have been approved by the International Association of Emergency Managers (IAEM) Certification Commission to receive the Certified Emergency Manager® (CEM®) credential. The CEM® designation is the highest honor of professional achievement available from IAEM, which has in its membership more than 9,000 emergency managers representing professionals whose goals are saving lives and protecting property and the environment during emergencies and disasters. Ms. Lightheart qualified as a CEM® by submitting an extensive credentials package giving personal and professional background achievements and successfully completing a Management Essay and a written examination.